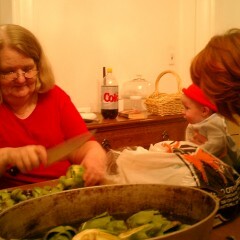 Sheila was an accomplished cook, in any setting. 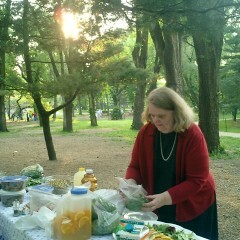 Even our picnics were extensively catered. She had worked as a short-order cook in a roadside restaurant near the Bourne bridge as a summer job while she was a teenager, but most of her cooking skills seemed to be self-taught, through books and experimentation . This entry was posted in Family Life, Photos on November 20, 2012 by Matthew.